The Kiddie Korner: Bob Shea Books! As promised here is my round up of kid friendly books! It’ actually part of my job to read kid’s picture books to plan out story-times for a range of ages, which start at babies and move up to preschoolers. And I’m pretty sure that some of the other children may be older than preschool age. But hey, if they’re enjoying storytime, who am I to judge? 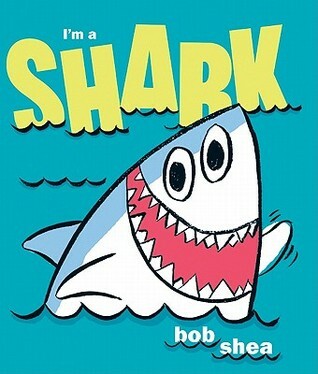 This week I wanted to bring to you one of my favorite picture book authors: BOB SHEA. There are no words for how much I love this author. To be very honest, he is FUNNY. He is incredibly FUNNY and somehow he’s got his pulse on the children’s funny bones. Which isn’t hard, I mean you say something funny enough and kids crack up. But more importantly, he’s got his pulse on the ADULTS’ funny bone too! I read the following books a total of 3000 times (okay, not 3000, but I read them a lot for my own kids, so it feels like 3000) and they got a laugh every time. And sometimes, even when I knew when a joke was coming, I still couldn’t help but laugh, because it was FUNNY. And parents, it’s really important to like what you’re reading to your kids, because if you don’t like it, children will just believe that reading is no fun in general, and won’t want to do it. Nothing is more inspiring than an excited reader. 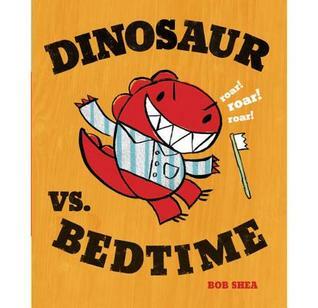 Dinosaur vs. Bedtime is one of those books where if you can’t get a laugh out of your kid when you read this to them, you’re not reading it right. It’s very simple, and very funny. When I read it I usually read it like some kind of cheesy presenter announcing some kind of crazy prize. Like on the price is right. But this is what makes kids happy, they seem to enjoy this approach. And I read ALL the roars. Because it makes them laugh. It’s that simple. Dinosaur vs. 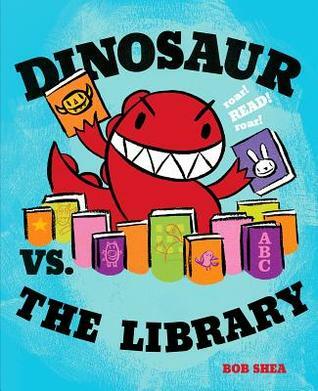 The Library is a little bit more of a complicated story than Dinosaur vs. Bedtime, so your toddler may not take to this one as much as the aforementioned book. But it is a natural evolution for preschoolers, who are able to grasp a little more meatier storyline. I know this may sound ridiculous to you, but you do need to think of these things when choosing book for small people. If you’re reading this to a toddler, make sure they’re a quiet patient toddler (hahahahahahahahahahhhhhaaaaa! I know, I about killed myself with that one too), or that you can really read this book. Be active, be fun! Make them laugh with your roars. Your preschoolers will love this one however you read it. I’m a Shark was the kid’s favorite book, mostly because the shark is angsting about spiders the whole time. It will make a spider fearing adult laugh too. It’s very cute, and I don’t really want to give much away, because I really want you guys to go flip through this one, give it a quick read. I really challenge you not to laugh through this book. 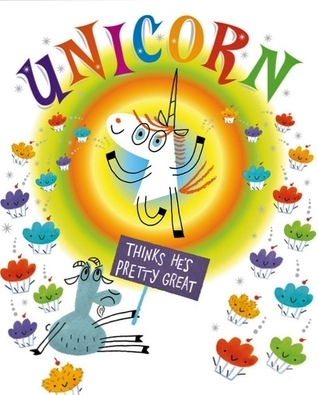 Unicorn Thinks He’s Pretty Great is my personal favorite, and was the book that inspired me to do a whole Bob Shea storytime. It had a nice message, but was really funny. Both my kids (a 2 and 5 year old) really loved this one too (I did special voices for both Goat and Unicorn) but this is one I could probably read ten times a day and not get tired of it for a little while. I can’t quite put my finger on what was so special about it, but it’s got a lovely message, some really cute drawings, and some really funny situations. I thoroughly enjoyed it. So there you have it, my Kiddie Korner roundup! I hope your children enjoy these books as much as I have, and that it gives you some ideas about books to bring home to your kids. And just as a PSA, don’t forget to read to your kids. If your kids like to eat or tear up books, then get the cheapie ones from the dollar store, or go to the library and get board books. They don’t mind, I promise. A library is not a place to look up books for posterity, it’s a fun place where kids learn things. And one of the missions of the library is to help get your kids reading! So help us do that by going to your local library, getting a library card (it’s free you know! ), and checking out some books! Most of them even have ebooks you can download, and audiobooks, and just so so much! I don’t really have a cute little summary to fit this in to, but as a mother who is planning to homeschool her five year old next year, I can tell you that a part of you gets a little bit stressed out. You doubt yourself as the person who can best teach your child, and how do you know you’re teaching your child all the things they need to know anyway? This book will help you through that, taking you through a logical progression of questions and answers to help you through the process of thinking through and deciding whether Homeschooling is the right path for you and your child(ren). I like the logical progression of it. It started with the kind of legal and “can I really do this” and “how can I do it” questions that you start with, through to what curriculum to choose, etc. It also had a chapter with kids answering questions, which I think is an argument for homeschooling in itself. It also really did answer every question and doubt I may have had. At times I felt that it kind of advocated unschooling. I’m not against unschooling, nor am I a huge proponent of unschooling, so it wasn’t something that bothered me, per se. But I know that I would be doing a book review on this book, and with that in mind, I could see that someone could be turned off by this. Perhaps future editions could address a few of the more popular methods of homeschooling, especially since there seem enough different approaches to fill a chapter. It was easy to read (though a bit dry at times) and I did feel that it answered all my questions about homeschooling, so I would definitely recommend it if you’re thinking about homeschooling.